Finns i storlek M (EU 38). Passar även EU 40. 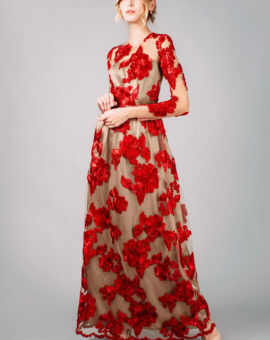 This stunning evening gown from Marchesa Notte is crafted from soft silk and features a one-shoulder design. Cut to fit tight to the body, it emphasizes the natural curves and creates just a perfect slim silhouette. 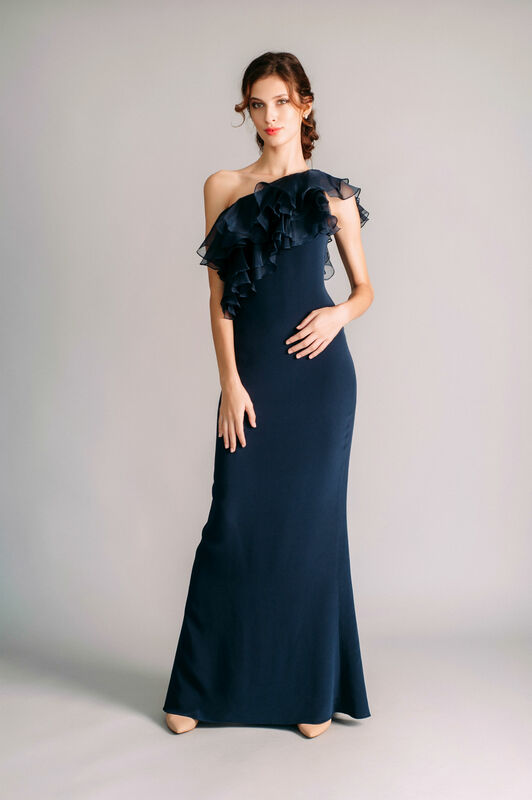 The dress is embellished with a layered cascading ruffle detail.